On the south side of the 49th parallel, the prospect of a North American trade war appears to be provoking mostly shrugs and mild concern among people who don't have a direct stake in cross-border commerce. On the north side of the Canada-U.S. border, trade tensions between the two close allies have created confusion among political leaders, led economists to predict a recession and provoked some consumers to change their travel and purchasing habits. But on the south side of the 49th parallel, the prospect of a North American trade war appears to be provoking mostly shrugs and mild concern among people who don't have a direct stake in cross-border commerce. "I think it'll all get worked out. It's a problem right now, and everyone is kind of posturing and all that, but it'll be fine. Everyone will be stronger as a result of it," self-described conservative Jeff Jones said during a walking tour of downtown Fargo, N.D., on Tuesday afternoon. "Canada's a great partner." 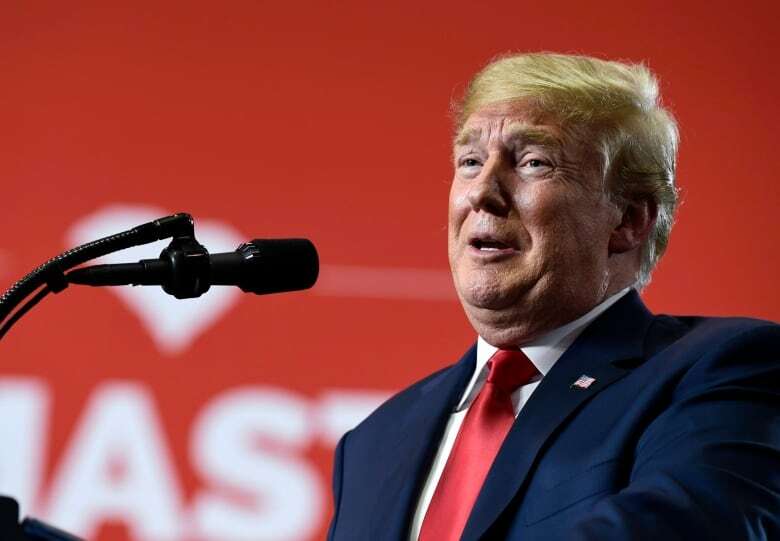 On Wednesday evening, U.S President Donald Trump will hold a Make America Great Again rally at Scheels Arena in Fargo, the largest city in a state where 64 per cent of voters supported the Republican leader in 2016. North Dakota is also the U.S. state most heavily dependent on trade with Canada. Almost 84 per cent of the state's exports — chiefly oil, front loaders, ethyl alcohol and wheat — wind up north of the border, while 54 per cent of North Dakota's imports come from the Great White North. Nonetheless, the U.S. decision to slap tariffs on Canadian steel and aluminum, Canada's promised countermeasures and the degradation of Trump's relationship with Prime Minister Justin Trudeau have yet to rattle the populace on the U.S. side of the Red River Valley, at least not the way Canadians are transfixed. "I think our government does what's best for the United States," said Dana Kaldor, who grows corn, wheat and soybeans on 1,100 acres near Mayville, N.D., southwest of Grand Forks. ​Trade tensions are not a top-of-mind concern for Kaldor or most of his fellow agricultural producers — although he does say he knows America's image is taking a hit. "The perception of other countries probably does more hurt than policies, per se," Kaldor said Tuesday afternoon in Mayville, where he also works as a credit officer at Goose River Bank. ​"There's a mutual interest in trading partners. I like it when I see Canadian corn trucks taking corn back to Canada." The high U.S. dollar, relative to the loonie, is more of a concern to North Dakota farmers than trade tensions, said Allen Krueger, the elevator manager in Hatton, N.D., a few minutes northwest of Mayville. 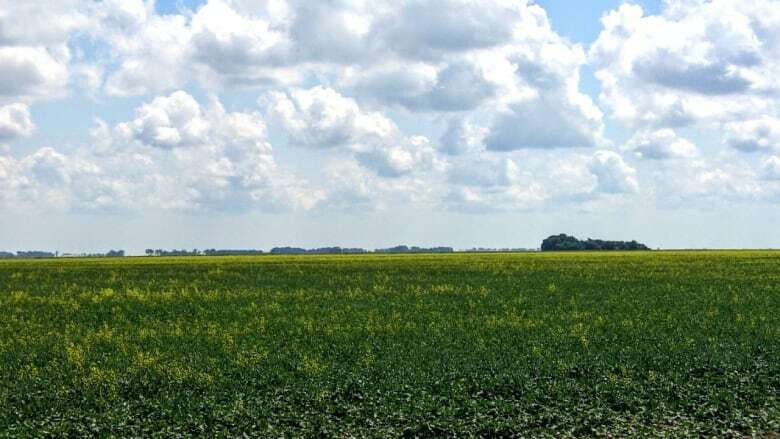 Nonetheless, Krueger said North Dakotans may not realize commodities cross the Canada-U.S. border in both directions, which exposes producers to some risk. 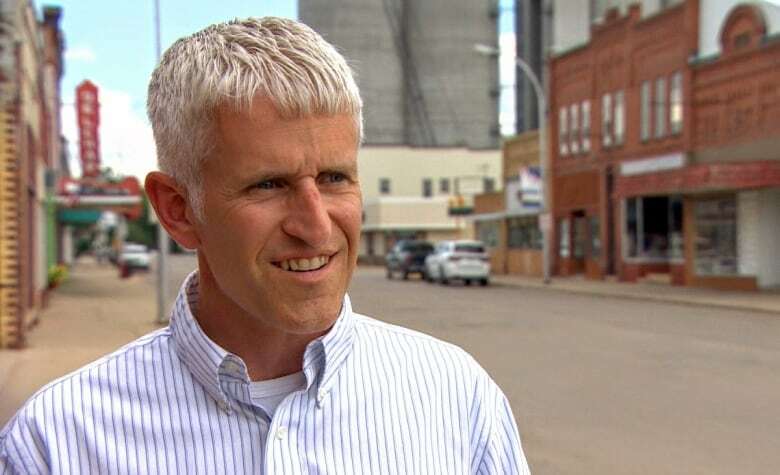 The North Dakota Trade Office, an independent non-profit organization, is concerned about the rhetoric on both sides of the border and the tangible effects of tariffs, particularly on North Dakota agricultural producers and makers of farm machinery. "The rhetoric really is something that is not adding anything to the solution. It's really overbearing. This is family. 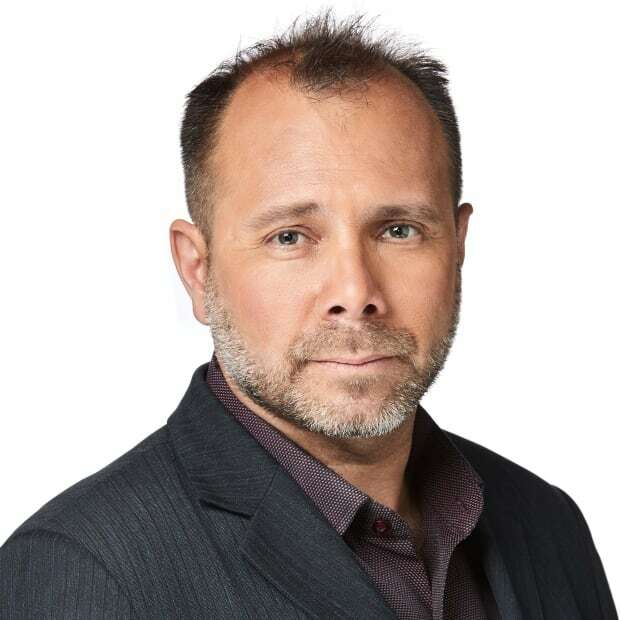 Canada is family for us and for us, and you don't treat family this way," trade-office executive director Simon Wilson said Wednesday. "It is our largest trading partner here in North Dakota and will continue to be. That's why we need to get through these difficult times." Wilson said while he's aware many in his state are unconcerned about trade tensions, he expects awareness will grow. "A lot of times, people don't feel it until it hits their pocketbook," he said. "These tariffs are only going to hit consumers." Canada-U.S. tensions may also have affected tourism to North Dakota, which has witnessed a drop in Canadian visitors, said ​Sara Otte Coleman, tourism director for North Dakota's commerce department in Bismarck, the state capitol. Tourist traffic dropped 10 per cent in 2017 from the year before, based on a total of 627,000 private vehicles crossing the border. Otte Coleman said there has been another slight drop this year, so far — but she's uncertain about the underlying cause. "Factors like the exchange rate, or even political or social tensions, may play a role in people's decision to cross the border," she said in a statement. "However, we are encouraged to see an increase in Canadians making North Dakota travel inquiries and an increase in Canadians' digital response to online advertising campaigns." In Fargo, people working in the hospitality industry say they haven't noticed any difference in the number of Canadians — over the past few weeks, months or years. "None at all," said Andrew Fincke, a bartender at Pounds on First Avenue North in downtown Fargo. "We're pretty close to the border, so we probably won't notice too much." An unscientific sample of pedestrians in the blocks outside his bar revealed only some concern. "I know everything is kind of up in the air with relations, but on this level, no one pays attention to that," said Nessa OIson. "Your guy is doing the best he thinks he should for his people, and so is ours," said Gary Foster, a tourist from Chicago who added he doesn't believe the Canada-U.S. trade rift is significant. "I don't even know if you'd call it a hiccup. At our end, it's a long overdue flushing." North Dakota State University English professor Adam Goldwyn, however, expressed more sympathy for Canada. "Seems like our current administration doesn't really have an idea what a tariff is or what trade is and what a trade war is or what international relations are," he said. "It seems like Trudeau and the Canadian government have been polite and accommodating and much more willing to try to come up with a rational solution." Trump's proximity to Canada this evening could inspire more verbal shots across the border. But the U.S. president may find it more tempting to direct his fire toward the Democratic Party, as the Republicans hope to wrest a North Dakota senate seat away from their rivals this fall.